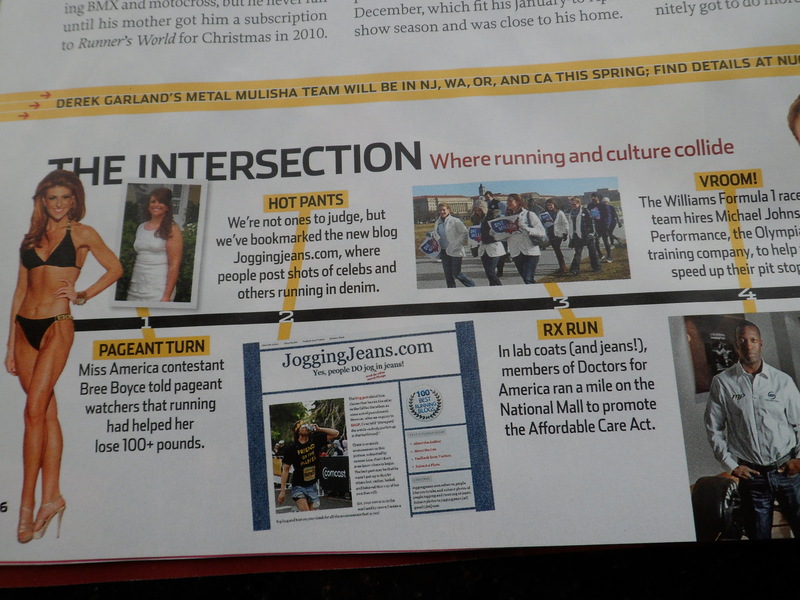 The absolute best part about the Runner’s World mention last week is being introduced to all the new people and bloggers that found JoggingJeans.com because of it. I’ve met some REALLY awesome people that I otherwise would not have ever known, and talks have begun about some upcoming collaborations (details to follow-be excited!). Today’s post is dedicated to one of my favorite newly discovered blogs: RunningHaiku. Charla, the author, shares her relationship with running through beautifully written haiku. I love her. I love her work. You should too. Congratulations on your mention in Runners World! I really enjoy your blog–and I’m glad so many others will now too. Aw, thanks! I admit that I usually love everything about a race except two things – getting up and the running part. Because of that, my haiku usually vary with either irreverence or sheer joy when it seems a little less sucky. I have to admit I have been more eager to go out lately REALLY hoping to spot someone jogging in jeans. I’m actually excited about this weekend’s race for improving my odds of a jeans sighting. So, I owe my last several miles to you! Thanks for the plug and, more importantly, the running entertainment and motivation! Forgot to mention, if anyone wants to submit their own running or workout inspired haiku, email me at charla.neuman@gmail.com and include how you would like me to attribute it. Would love to see and share what other runners think about their runs! 🙂 Hope I was able to introduce your fantastic site to some more people. I’ll continue to spread the word.